The story of an Aussie 'hero' who became one of the most famous and influential journalists of the day, reporting for the London Times on China during the Boxer Rebellion and the fall of the last emperor. 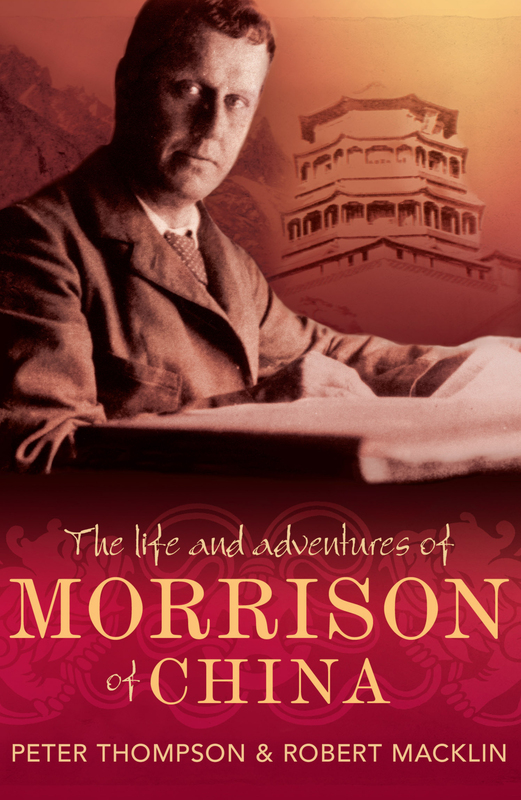 This is the compelling story of 'Chinese Morrison', who bestrode continents, helped bring down a dynasty and chronicled his times so brilliantly that he not only wrote history but changed it as well. In 1882, at the age of 19, George Ernest Morrison's strong sense of courage and devotion to reporting the truth led him to expose the Australian Kanaka slave trade. It marked the beginning of what was to be an illustrious career. In the decades that followed, Morrison achieved international fame for his work as a correspondent for the London Times in the decadent and dangerous Chinese capital of Peking, not least when he helped to organise the defence of the legations during the 55-day siege of the Boxer Uprising. Then, as adviser to the fledgling Chinese Government, he was a pivotal figure in the fall of the last Emperor and the birth of the Chinese Republic. Peter Thompson and Robert Macklin have written a powerful and gripping biography of an Australian journalist and adventurer who paused only to tell his stories and to plan his next foray among the great events and leading figures of his day. Peter Thompson, born in Melbourne, was a Fleet Street journalist for 20 years, rising to deputy editor of the Daily Mirror, editor of the Sunday Mirror and a director of Mirror Group Newspapers. Since turning to writing, he has written biographies of the Princess of Wales, the Duchess of York, Robert Maxwell, Elvis Presley, Aristotle Onassis and Jack Nicholson. He lives in London.